Twitter's stock price has declined by over 50% over the past few months because of slower than expected user growth and questions about the company's leadership team. In response, the company just unveiled what appears to be its most important product (or feature) in years, Moments. This is clearly an interesting attempt to attract new users (or "churned" users) back to the platform. However, Twitter seems to have ignored the lessons learned by other tech giants that rely on "deep engagement". 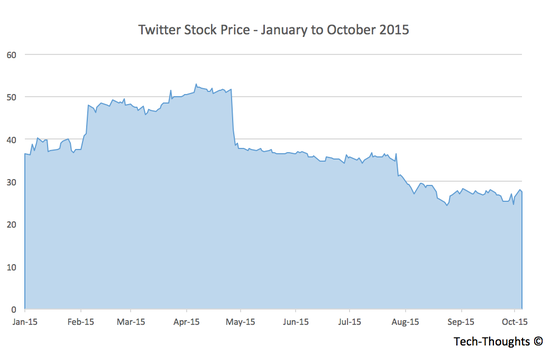 Twitter's biggest issue has long been the ability to attract mainstream users. Extracting value out of Twitter requires new users to invest a not insignificant amount of time to find and follow interesting accounts. Moments aims to avoid this friction by collating content generated by Twitter's core and, often, influential user base. While this may not appeal to Twitter's primary audience (those who already follow accounts based on specific interests), it could attract new users to the platform. Appealing to a new audience seems like a good idea. So what's the problem? Instead of launching an independent app, Twitter seems to have buried Moments under the litany of options on Twitter's menu bar (another relatively new feature, "Highlights", is included under the list of "more options" on the right). This suggests that Twitter's focus remains on generating more engagement with it's legacy product rather than committing to Moments. Burying more features within a single app is likely to minimize the odds of users ever finding or engaging with them. These are lessons that have already been learnt by Facebook during its multiyear transition from web to mobile. By unbundling these features into a constellation of apps, Facebook was able to generate real engagement while directing users to other apps at the right "moment". Similarly, Twitter could have "unbundled" Moments and allowed users to follow stories but require the core Twitter app to view/follow accounts or retweet stories. Facebook's success with "unbundling" is no secret, so why did Twitter choose to "bundle" Moments? It's possible that Twitter wanted to avoid the scrutiny that an entirely new app would face. Investors would have kept a close eye on app store rankings and a faster than expected decline would have a direct impact on Twitter's stock price. I'm sure Twitter's investors would have preferred a committed, full blown attempt to attract new users.